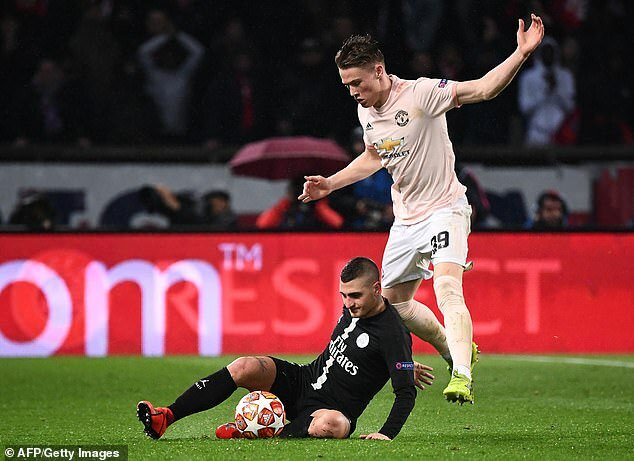 Marco Verratti has claimed that Manchester United’s sensational comeback against Paris Saint-Germain in the Champions League was a fluke. Despite losing the first leg 2-0, United managed to win 3-1 in Paris last month to advance to the quarter-finals in remarkable circumstances. 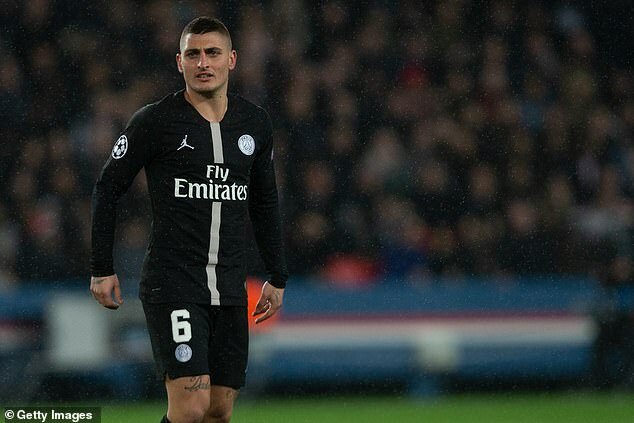 PSG midfielder Verratti, however, wasn’t especially impressed and claimed that his side would have won nine times out of ten. Verratti told Telefoot: ‘Maybe I’m more frustrated than others, but football is like that. We can’t have everything. Despite the disappointment of their Champions League exit, PSG are on track to win the Ligue 1 title at a canter – they are 20 points clear of their closest challengers Lille. In addition they are through to the final of the Coupe de France, where they will take on Rennes. United, meanwhile, must overcome a first leg deficit again in the Champions League, albeit only at 1-0 this time, as they face Barcelona away in the second leg of their quarter-final tie. Despite the quality of players that they possess, PSG have been knocked out of the Champions League at the last-16 stage in each of the last three seasons. Prior to that they were eliminated from Europe’s elite club competition in the quarter-finals for four years in succession.